This term we have begun to use our Asus Ees in the classroom, and during one of our VLE blogging sessions the students began asking when we were going to be working in Honeycomb again. Well guys the answer is this week, and here's some of my thinking as I am preparing the tools I want to use with my class. 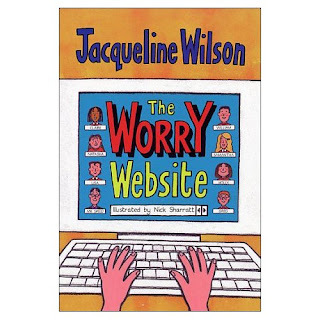 At the moment we are working on an extended literacy unit based on stories with dilemmas, and during our planning time last week, my partner teacher suggested using the text "The Worry Web Site" by Jacqueline Wilson as a stimulus. I loved the idea and an immediate thought was how much fun it might be if we could get the students to begin interacting with the text as if they were "Agony Aunts." The writing outcome we have proposed for next week after we have engaged with some of the children's dilemmas together from the book is to have the children draft a reply, to help a character overcome their dilema. Thinking about this for the last couple of days and how cool it would be to bring a version of the worry website to life that they could engage with in real time I wondered first of all about our VLE and creating an imaginary user space. But then I began to think about Honeycomb. The space we need for this doesn't need to be all singing and all dancing, but does need to provide an environment where the children can interact together safely and socially, while experimenting with their thoughts and how they communicate their ideas and structure how they might offer their advice. I have put together 3 simple pages to act as a stimulus for this, all of them are simple web page like mockups. and 2 based on the Worries of two of the characters in the book Greg and Claire. My original thoughts were to create a Wiki and allow the children to engage directly with the page adding their ideas as the week developed, however after some thought I began to see that maybe this might not work in quite the way I wanted the sessions to develop. I began to think instead how this might be an ideal opportunity to develop the space for "Role Play," as an interesting situation for the children to practice their commenting skills. Honeycomb does not currently allow the creation of internal hyperlinks between a users pages. But colleague John Sutton has suggested a neat workaround for this. By saving the Home Page I have made as a Honeycomb Blog I can transfer the contents of each page in the model "Worry Web" I have already made to create a post and so allow navigation between the home page and the individual "worries." This has involved a little reworking of the material I made earlier, but now I can use this space to encourage the students to work together to plan and share their comments for each of our "worriers." Commenting on Blogs is a real skill, and something I am not very good at myself. It should be really good fun to work with my students as they practice this skill. I am really looking forward to exploring this process with the class this week. Perhaps using it as part of our "Speaking and Listening" focus to develop a list of dos and don'ts that can help us work together more successfully in our other online environments.